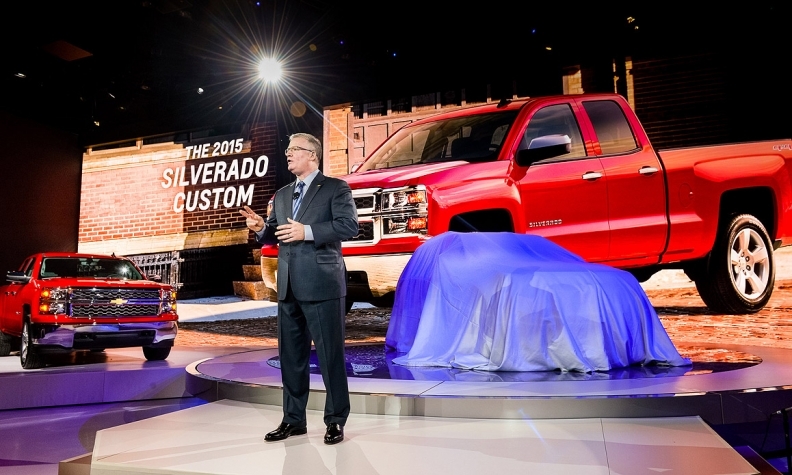 Brian Sweeney, Chevrolet's U.S. chief, introduces the 2015 Chevrolet Silverado Custom on Thursday. The Custom, based on the double-cab Silverado LS, adds 20-inch aluminum wheels, chrome bumpers, mirrors and door handles. Chevrolet expects most Silverado Custom customers to opt for a 5.3-liter EcoTec3 V-8 engine, with 355 hp and up to 23 mpg on the highway, as estimated by the EPA.